Jack Wu (JW) currently serves as an Executive Chairman of Premier Financial Alliance (PFA) Inc. (A nation-wide financial marketing company). Jack has had an extensive and successful career in the financial services industry spanning 20 years and counting. He began his career in the financial services at a time when he was still in college. Whiles attending University of Maryland at College Park, he got into the financial industry to give himself the opportunity to make a difference in the lives of many families across the U.S. He realized that a proper and sound financial protection for families was very important. Having to deal with a situation first hand at a young age of 15, when his family didn't have a proper and adequate financial protection at the time his father passed away. Jack realized the devastation impact it can have on families in similar situation and decided to do something about it in the future. Through the years of hard work and determination, Jack was able to achieve phenomenal success with the help of his mentor and life coach David Carroll, C.E.O. and Founder of PFA. As a true testimony of an ordinary individual with an open mind, a huge dream, and a burning desire, Jack never let any undesirable circumstances and situations in business and in life deter him from achieving his dream of financial independency for him and his entire family. With all the success and accomplishments Jack as achieved throughout his career, he did not stop there. He continues to lead the company in many ways than one. Jack has mentored and coached many of his associates and leaders in the company to also achieve phenomenal success. As a huge credit to his teachings and leadership, Jack has produced many of his associates in the company to earn anywhere from 6-figure to a 7-figure income a year and counting. Many would have thought that after Jack helping many people to achieve their financial success, it would the end of his mission. But that is when he then found his purpose. The ability to now be able to give back to the community of the under privileged and people outside his company. This purpose was derived from his up bringing. Coming from a humble family where values and moral beliefs were instilled in him by his parents at an early age. With that in mind, a foundation was formed. SEAL Foundation (Special Elite Aligned Leaders Foundation (S.E.A.L.)) is a 501(c) approved non-profit organization. A foundation co founded by Jack Wu and his brother Rex Wu to organize and operate exclusively for purposes of charitable and community services engaged in assisting children and their families. SEAL Foundation focuses in neighborhoods where Premier Financial Alliance (PFA) associates live and work. Jack also established a Just Wish Foundation. Another opportunity to make an individual or a family's wish come true. Where every month, associates in his company can nominate a deserving recipient to make their wish come true. As the world we now live in ever changing and evolving with the internet and social media, Jack knew in order to reach the masses with his teachings, philosophies, and messages, he needed to adapt with the social media trend. Hence, JW Production was formed. Where he is the Chief Executive Officer (C.E.O). JW Production is a media group that record series of videos by Jack with various business and life topics. The topics in his videos are essential for anybody with the desire to be an entrepreneur, build a business, or become a better person. We continue to see the number of viewers grow with each new video release. It proves and shows that the content he produces are very valuable to up and coming entrepreneurs who's looking for someone that can inspire, train, and lead. Jack has a track record of building a successful company with associates and leaders across the United states. He is this generation's breakthrough thinking coach, an inspirational speaker, and a mentor for many of the successful people and top leaders not only in his company but throughout the country. Lu Wang graduated from New York University (NYU) with a degree in Economics and was formerly a senior management consultant for PriceWaterhouseCoopers (PwC). Just over a year ago she joined PFA and is now the Regional Field Directors and one of the top leaders in PFA. She recently opened her own flagship office in Southern California, with a goal of helping more families. Lu is always very active in her community, she serves as the Vice President of Los Angeles Chinese Chamber of Commerce and the President of Orange County Lions Club. Giving back, giving love to others is always her philosophy and the company philosophy. Mr. Rex Wu, Co-Founder of SEAL Foundation (non-profit organization 501c approved) and National Field Director of Premier Financial Alliance (PFA) Inc, went from a Aerospace Engineer to an accomplished entrepreneur and philanthropist. After graduating from Massachusetts Institute of Technology (MIT) with a Masters in Aerospace Engineering and then working as an engineer, Rex was not totally satisfied . He later found his true passion in Premier Financial Alliance after being introduced to the Living Benefits Crusade in 2007. Rex has been a 5-Diamond Million Dollar Club Member since 2008 and recently has earned his 10th diamonds, received the Presidential Rolex Watch, and has been awarded the infinity team MVP consistently from 2008 – 2014. Rex is passionate about educating families the real secrets of money and helping them to achieve their own financial security utilizing different financial vehicles, and give back to the community via his newly found non-profit organization named SEAL Foundation. Rex Wu and his teams have helped thousands of families across the US to build wealth, protect asset, and distribute them in some of the most efficient ways available in the financial services industry. Rex believes everyone can achieve financial independence with the right education and discipline. Rex Wu and his brother Jack Wu founded SEAL Foundation in 2013 in hope to help many more people who are not already in his company. SEAL Foundation (DBA Special Elite Aligned Leaders Foundation (S.E.A.L.)) is a 501(c) approved non-profit organization. Created to organize and operate exclusively for purposes of charitable and community services engaged in assisting children and their families, SEAL Foundation focuses in neighborhoods where Premier Financial Alliance (PFA) SEAL Team Associates live and work. Finding families and children who need special attention with general welfare, health, education, and dignity of life throughout their diversified and mixed culture communities allows all efforts to be closely supported and observed assuring success and benefit for all participants. SEAL was chosen to honor the men and women Associates who have helped to build this great organization emulating the long standing tradition of unit integrity, team work, honor and sacrifice established by our Nation’s elite Naval Special Warfare patriots, the SEALs. ​Originally coming from a background in civil engineering, and then later in accounting, Will Peiravi discovered an opportunity 10 years ago that would change his life forever. In turn, this opportunity allowed him to change the lives of countless others. Will joined Premier Financial Alliance early 2007. Will is one of the top money makers and team builders in PFA, He is a member of the Executive Field Council, Rolex Earner and has been inducted into the Million Dollar Club since 2008 to present day. Aside from all his accomplishments in PFA today, we are fortunate to have a leader that is generous to us in his time and his knowledge. Will is a person that truly exemplifies a person of discipline, accountability, and above all, integrity. ​Brent & Denise Paiste, has always believed in the philosophy of giving. In fact, that’s how they met. Back in 2013, Brent became a widow—a single father with two sons. He lost his late-wife to cancer. In honor of her, Brent raised money for the American Cancer Society to give back to the cause that helped her through her chemotherapy treatment. Serendipitously, Brent’s charitable proceeds was managed by the Event Chair, Denise Do, a cancer-survivor who’s dedicated to help create a world with more birthdays. Brent and Denise started fundraising together—then quickly found out that their encounter was a divine-intervention. They fell in love, got married, and miraculously—they were able to conceive a baby boy! Miracles happen! Now, Brent & Denise mission is to “grow more to give move”. They were able to start their philantropreneur journey with Premier Financial Alliance (PFA). PFA has ignited they passion and purpose with their Living Benefits Crusade. At such a young age, Brent & Denise have experienced financial devastation because of critical illnesses. As Regional Field Directors of PFA, they commit their lives to serve God and to give back to the community by, educating families on life’s’ journey toward fulfillment and success. Brent & Denise, along with Team Delta, have been changing the lives of everyone they encounter, for as beautiful and crazy as life can be, they also recognize it can be fragile and unpredictable. To these two, serving others is a privilege and they hope to empower change by modeling that change for others to see. Brent & Denise believe that if financial stresses were no longer an issue, relationships in life can become more fruitful. These are the values they believe that everyone deserves to experience. 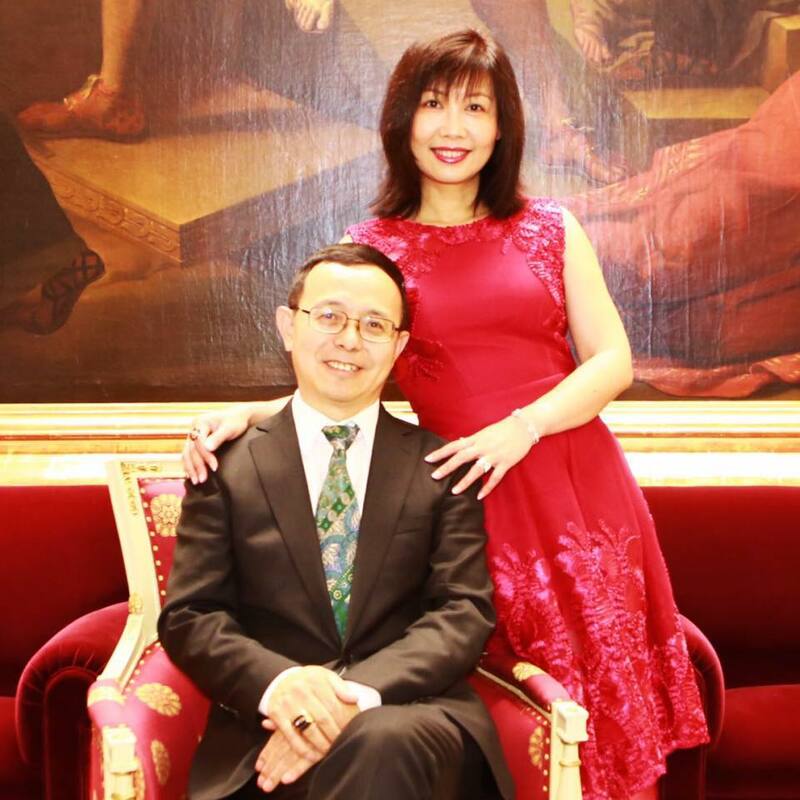 ​Jun Yuan is an entrepreneur and insurance services professional, currently serving as Regional Field Director (RFD) for Premier Financial Alliance, a position she reached in her first year and has held since 2015 with many achievements including MVP, National Life Group Diamond Club winner, 4 Diamond earner. She has an MBA from Northwestern Polytechnic with a focus in business management and marketing. She is also a long time executive, shareholder and investor in several financial and real estate businesses. As RFD, she has built a winning team that reaches across California, Nevada, Texas and New York with a strong base in the Bay Area and Los Angeles and in 2017, launched the PFA East Bay Office in San Ramon, CA. ​Serena graduated from the University of Virginia with a B.S in Psychology - concentration in the field of psycho-biology and neuroscience. Being a first generation immigrant, she was taught that becoming a doctor would bring her success. Brought up on this traditional view, she broke free of it shortly after she found Premier Financial Alliance. Serena has redefined her definition of success and is an Executive Field Director of the company with a top-performing organization, starting out in the the heart of Tyson’s Corner in Northern Virginia growing to a nationwide presence. In 2016 alone, her organization grossed close to $5 million in paid business and grew by a staggering 1400+ associates. She and her organization was awarded MVP in various categories of PFA from 2010-2014. Serena is also a Million Dollar Club Ring Earner since 2010 and was inducted into the Chairman Rolex Circle in 2013. Serena used to think success was defined by her merit, now she knows it is defined by the growth she helps others achieve. Highly involved in the Vietnamese community, she believes in giving back to preserve her culture and heritage. She has donated to several causes, from medical relief in Da Nang, Vietnam, to the Asian American youth in America. Ms. Wendy Lau, Qualified Field Director at Premier Financial Alliance, started her career in the financial field by an introduction from Mr. Jack Wu, Executive Chairman of PFA. After many years in "Corporate America" and building many successful accounts for the previous employer, Ms. Lau was not satisfied. She could not find time to spend with her family nor any reward from her work. Her desire to help others was not met. After making the decision to start her new business with PFA, she has since assisted many families secure a financial future for themselves, built a successful team of leading entrepreneurs, and finally have the time to spend with their beautiful boys. She has since taken her family to many company's trip to Europe and the Caribbean, and other exotic places. She is most grateful for the opportunity to lead-by-example to her children.